Peachy Keen's "Snow Cutie Face Asst"
Peachy Keen's "Happy Lashes Asst"
Peachy Keen's Funshine Face Asst"
MCT's "Build A Banner Kit"
Well, that is a wrap for today my sweet friends! Don't forget to stop by the "Die Cuttin Diva's Blog" & tell them I said hi & join in on the challenge they are having over there! A Big CONGRATS to Suzanne Spokus for winning the awesome paper pad! Your card is just so Adorable. Love the colors and that lace on the card. Everything is just perfect. Hope your having a great week so far. This is so adorable Emma!! Love how you used those Peachy faces with your dies! Awesome job! 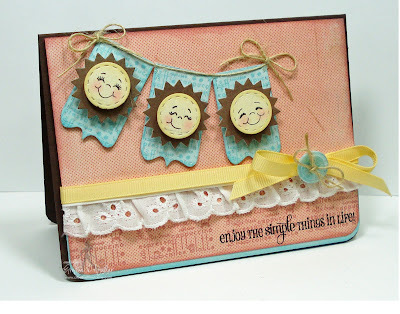 Super cute card, love all the little faces and of course MCT stamps sets used for this project. Hope you and your family had a great Easter Weekend. Those peachy faces are just perfect for your banner, love them!!! Gorgeous card Emma! Oh, so cute!!! Love the color scheme and the banner! Yet another miracle! It is gorgious!!! What a clever idea to make a banner like that! Thank you for sharing! Gorgeous card Emma! 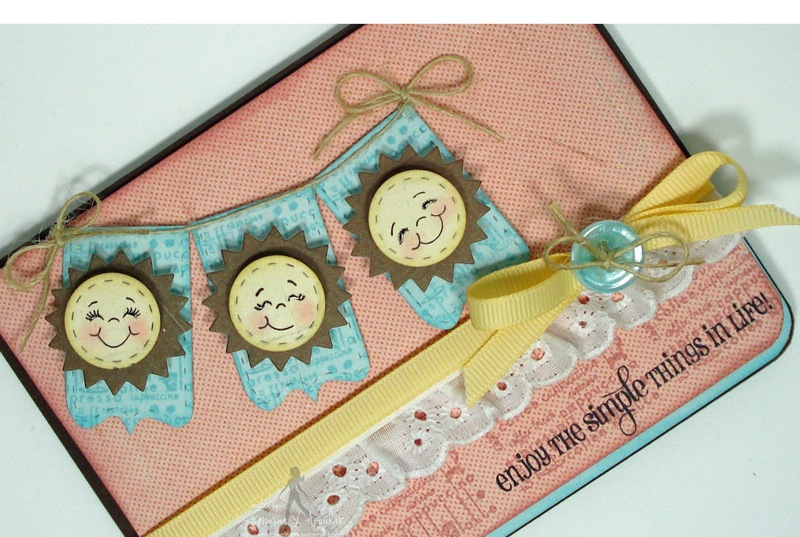 Love those little banners with the twine and those sweet peachy faces. Thanks so much for being a Guest Designer at the Die Cuttin' Divas blog this week and for sponsoring one of your fabulous stamp sets!! Oh my goodness I love this Emma. I have that set of yours and the PK set. I love how you put the face on the banners soooooooo cute! I stared filming with the camera on the other side of the table and then when I edit it I flip it or Ken Burn (I think that is with it is called) It is a lot easier than having a tripod between me an my cards. I hope that helps. I agree...Nothing like a Peachy face to bring smiles and make a card shine :D Great job. Congratulations to the paper winner! What a peachy card. i love it. Fabulous. And Congrats to Suzanne! Your card is super adorable, Emma! Love the PK faces and your banner is terrific. Great card; thanks for being a guest designrt at DCD this week! And thanks for your generous stamp set giveaway!--Pat N.
I love your card so stinkin' cute....I mean just everything...this card screams your personality....WOW...and congrats for being a guest designer at DCD....and thanks a million for a chance at a extremely generous stamps set giveaway! another big WOW!! Congratulations, Suzanne! Super super cute! I love the fun springtime color combination. This is a sweet twist on the banner craze! Goodness knows, with all the boys in your house, you've got to be able to stick lace somewhere! Emma ~ this card is by far the most ADORABLE card! LOVE the colors, the faces and ALL the details! You picked the PERFECT little faces ever! Congrats on the guest DT too! LOVE it! Wow Emma, What a beautiful card! I love the PKS face on you're banner. They laugh to me! Wunderful! Thanks so much for Guest Designing at the DCD this week and for you're sponsoring!